This is a detached cottage in the town of South Molton in Devon and can sleep two people in one bedroom. 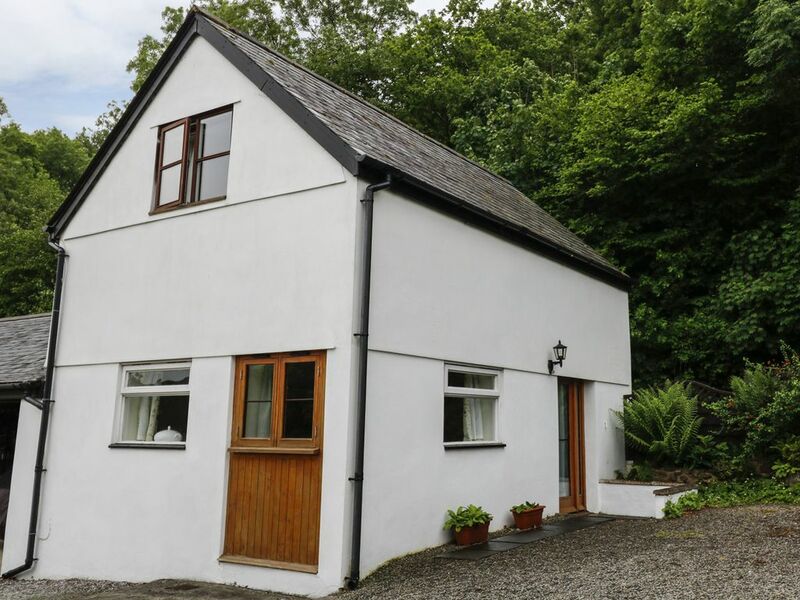 Mole cottage is a detached property located in the market town of South Molton in Devon. It comprises of a lovely, spacious double bedroom with en-suite shower room and a delightful open-plan living area with kitchen, dining and sitting area and woodburning stove. Outside is ample parking and a gravelled patio area with gas barbecue. Mole Cottage has lots of charm and character, perfect for a couple to enjoy some peace and quiet or a sociable break with friends next door at Crooked Oak. Amenities: Gas central heating. Electric oven, gas hob, microwave, fridge/freezer, washing machine, tumble dryer, dishwasher, TV with DVD player, WiFi. Fuel and power inc. in rent. Bed linen and towels inc. in rent. High chair, stair gate, toddler chair and baby bath available on request. Ample off-road parking. Bike storage. Garden with furniture and gas barbecue. Sorry, no smoking and no pets. Shop 3 miles, pub 1 mile. Note: there is a small charge to be able fish in the river. Note: there is an adjoining car-port with washing machine and tumble dryer. Note: Please note this property has a check in time of 4pm. Over two floors. One bedroom. 1 x double with en-suite shower room (cot/cot bed/Child's bed avaliable on request); shower, basin and WC. Open-plan living area with kitchen, dining and sitting area and woodburning stove. Gas central heating. Electric oven, gas hob, microwave, fridge/freezer, washing machine, tumble dryer, dishwasher, TV with DVD player, WiFi. Fuel and power inc. in rent. Bed linen and towels inc. in rent. High chair, stair gate, toddler chair and baby bath available on request. Ample off-road parking. Bike storage. Garden with furniture and gas barbecue. Sorry, no smoking and no pets. Shop 3 miles, pub 1 mile. Note: there is a small charge to be able fish in the river. Note: there is an adjoining car-port with washing machine and tumble dryer. Note: Please note this property has a check in time of 4pm.